Sarsen stones are ancient and extremely dense metamorphosed limestone, famous at Avebury and Stonehenge. Flints are also metamorphosed limestone and are impossible to drill because of their hardness. At nearby Vale of Pewsey, smaller sarsens and flints removed by farmers from fields were piled under hedges. 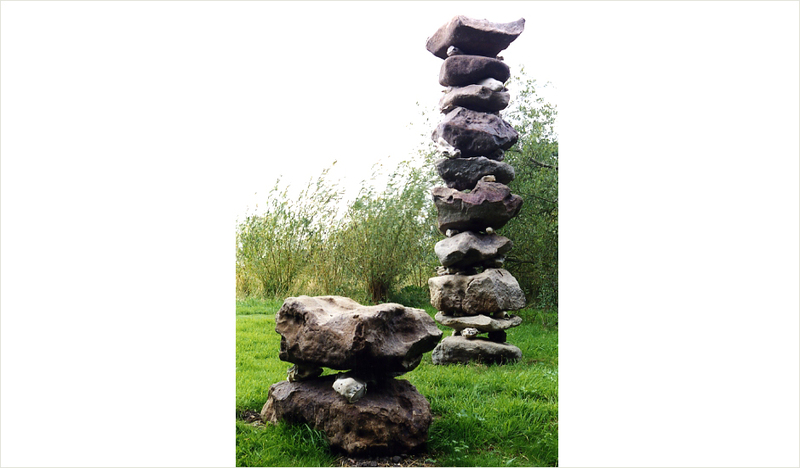 Beside the upper reaches of the Avon River, at the edge of an organic meadow, this tower of balanced sarsens and flints was built. It acknowledges the ground they came from and celebrates their ancient form and strength.